ISBN 0793554292. With standard notation. Classical. 9x12 inches. 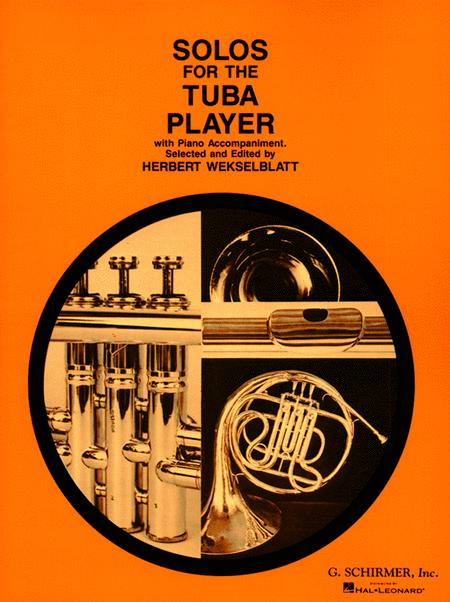 For unaccompanied tuba. Contents: Also Sprach Zarathustra * Aria (Magic Flute) * Bourree I * Dream of a Witches' Sabbath * Duet * Hungarian March * Theme from Lohengrin * March to the Scaffold * Masterings of Nurenberg Prelude * None but the Lonely Heart * Polka * Romanze & Rondo * Rondo Alla Scherzo * Theme (Ernani) * Theme (Falstaff) * Theme (Otello) * Theme (Rigoletto) * Theme from a Faust Overture * Theme (Das Rheingold) * Theme (Die Walkure) * Theme (Salome) * Theme (Siegfried) * Two Concert Duets * Waltz for Mippy III.